You know your arms are attached to you back. But, feeling that and moving from your back can be tricky! Which is why in this week's class we will start with some back feeling preps and then use those connections throughout our practice. If you have a magic circle bring it. If not, don't worry. You'll be able to do some actions and visualizations to find your wings. One of the more looked up exercise tutorials of mine is the Rowing series! And, since we've been enjoying two weeks of some Reformer on your mat I didn't want to take all that fun away just yet. If you have 1-lb weights bring them we'll be doing our fav Mat exercises and adding in some Reformer Rowing! 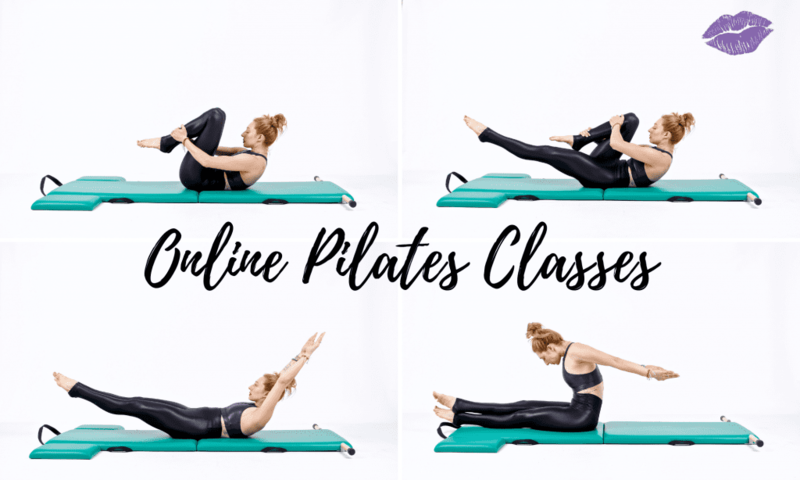 Ok, the cat’s out of the bag, the beans have been spilled, the… enough of that – we are counting down the days until REFORMER classes are available here at OnlinePilatesClasses.com! This post gives you all the juicy details. 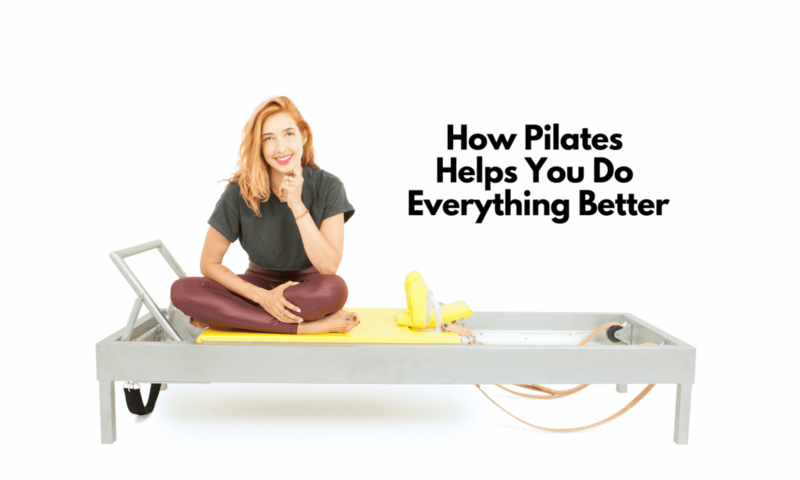 Joseph Pilates created the Mat work first, then saw how hard it was for people (I mean, you know) and designed the Reformer. In this week's mat class we'll take some of the exercises from last week and continue to add on! If you've never been on a Reformer don't worry. The Reformer exercises were born from the Mat so you'll recognize a lot of the spine shapes. 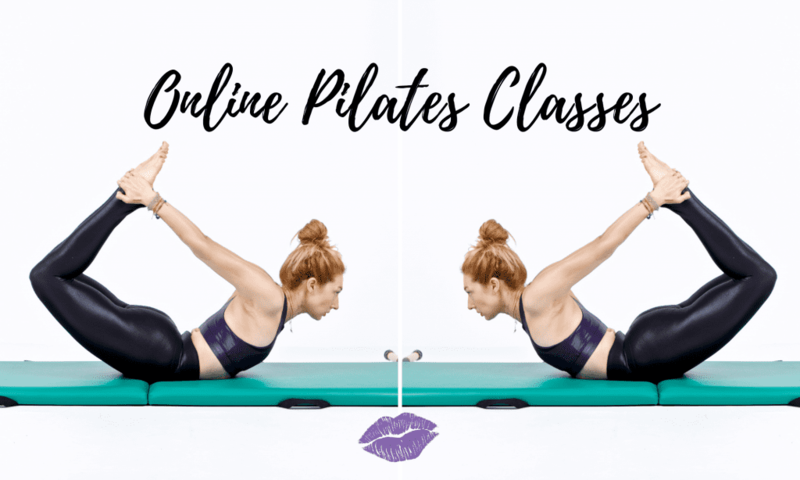 Pilates Mat Class: Spring into Action! Spring has sprung and we can use the Theraband to feel like we've added springs to our Pilates mat work! If you don't have a thera-band do not worry. You'll still get a great workout. 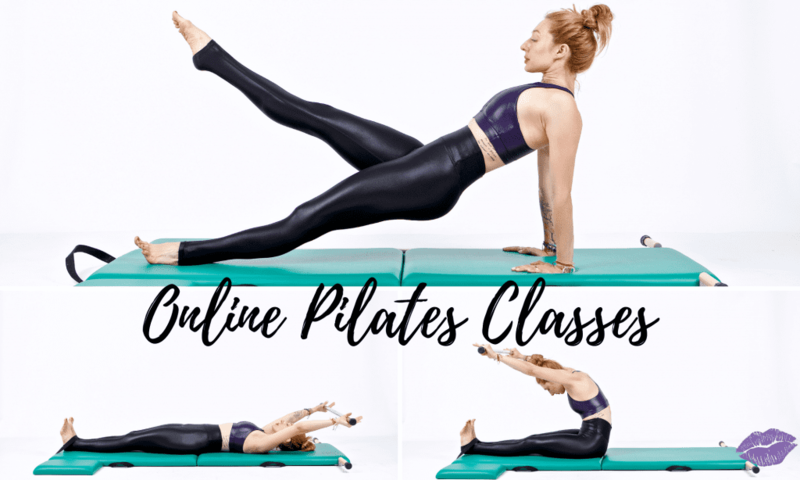 We will be exploring some of the Reformer exercises on our Mat and also what some Mat exercises would feel like with a little extra resistance. Pilates isn’t just a workout, it’s a regimen that you don’t do in place of things you love like golf, running, swimming or yoga. You do Pilates because you love those things. As we finish off our month of March Matness and conclude the tour of the original 34 in the OG style of Joe P., I think it's worth really taking a good feel of the Side Bend. And, have no fear there will be options if the idea of standing on one arm and the side of your feet has you thinking of skipping this week. It seems like every time you turn around there is a new study out there on how often you should be working out. I read one the other day that said just 10 minutes a day five days a week! Ok, here's the thing, I'm not sure the exact amount of time you should be working out.